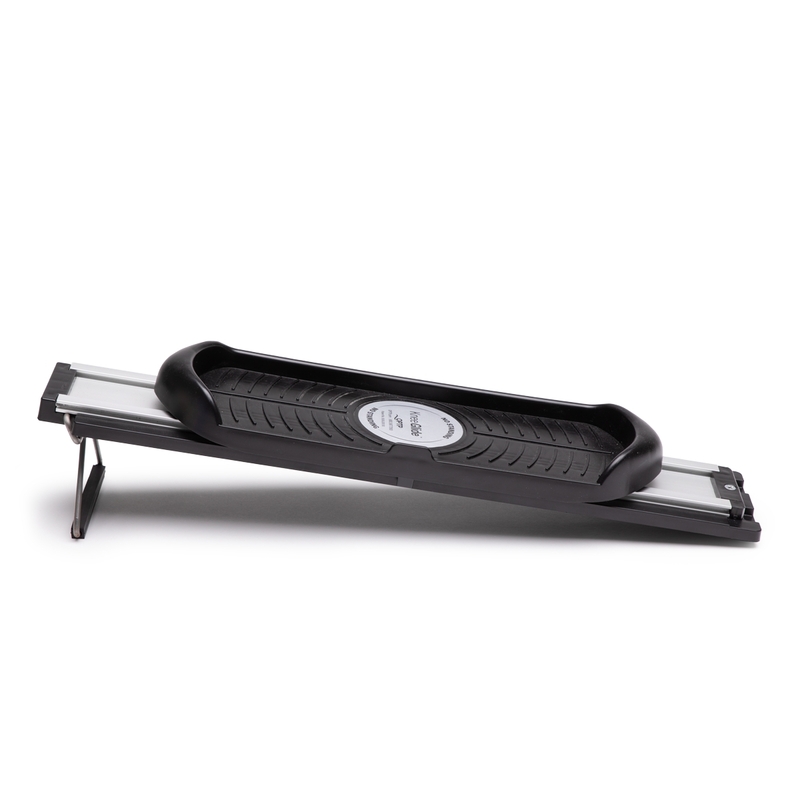 Safely strengthen the knee and shoulder with the Knee Glide, a simple yet highly effective tool for physical therapy exercise. Created by physical therapists Robert Schrupp and Bradley Heineck, the Knee Glide is an easy-to-use tool for rehabilitation of both the lower and upper extremities at home or in the clinic. Simply place the foot or hand on the plate for easy movement back and forth along the track. The device slides smoothly and securely, allowing for low-impact exercise. Minimal strength is required to move the Knee Glide, making it ideal for anyone recovering from knee replacement or surgeries (ACL, PCL), hip replacement or fracture, shoulder replacement or surgeries (rotator cuff, etc.) or stroke. It is also safe for those with arthritis or risk of falling, since exercises can be performed in a seated or supine position. The Knee Glide features a convenient carrying handle and weighs just three pounds, making it easy to transport. It can be attached to the wall for added stability during use. Maximum dimensions (with handle unfolded): 32" L x 5" W x 5 ½" H.
4 weeks after Meniscus Surgery., 62 year old male, Now have almost complete range of motion. Used knee glide at work so that I could work on my knee while still being productive. The handle really made a difference. Putting it up towards the back really worked my hamstrings Putting it up in the forward position made it so I would&apos; not hit my desk drawer. Excellent tool for the price. Get one for your knee rehab. I have been using the Knee Glide for the past few weeks. It is very light weight which makes it easy to carry to the patient&apos;s rooms. Have used with a large variety of patients (TKA, THA, and even stroke). Glides well and is easy to use. Our staff has been using The Knee Glide with our orthopedic patients- mostly Knee Replacement but also some Hip Replacement (especially when nonweight bearing). It has worked very well.